Have you ever been to a Barrel Racing festival? 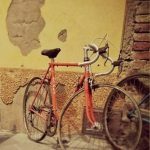 Every year, Montepulciano celebrates by holding its famous festival, the ‘Bravio delle Botte’ which is all about Barrel Racing! There is a fantastic atmosphere throughout the week of the festival which culminates in an very arduous uphill race. It’s a race of barrels called ‘Bravìo’. The ‘Bravìo delle Botti’ is a competition between the eight Contrade (districts) of Montepulciano : Cagnano, Collazzi, Le Coste, Gracciano, Poggiolo, San Donato, Talosa and Voltaia. 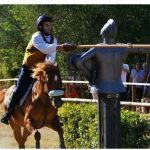 They compete to win a banner – just like the Palio in Siena and the Giostra di Simone in Montisi. 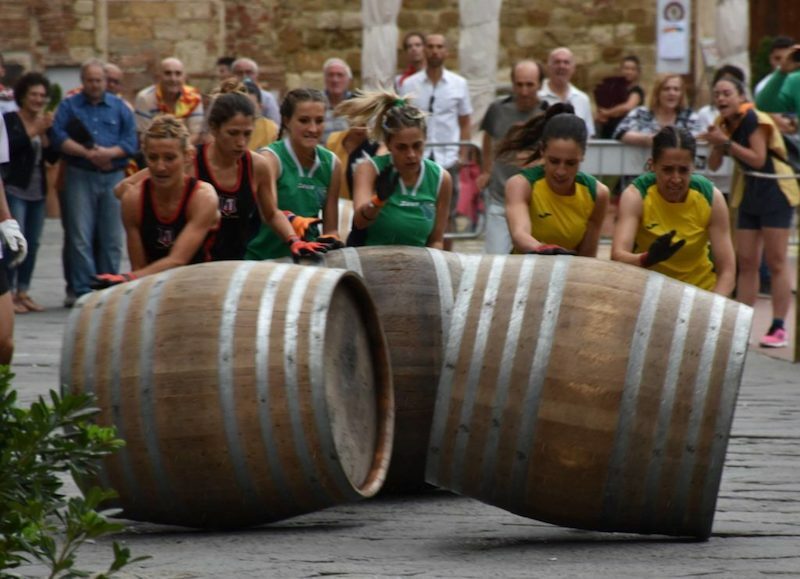 They have to roll barrels weighing about 80 kg each all the way up the hill in Montepulciano – a distance of over a kilometre! 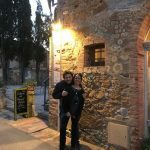 The barrels are pushed by two athletic “pushers”, all the way through the picturesque streets of this famous Southern Tuscan town to the cathedral square – the Piazza Grande. It is great fun and there is a lot more to see and do at this year’s festival which runs from the 18th to 27th August and everyone is made very welcome.